Individual sessions, which can either be in-person if you’re local, or long-distance if you live elsewhere; the majority of my clients hale from various places all over the world. Spiritual Transformation Group, which is also healing work, but in a group format (via teleconference). Mary is an exceptional teacher that utilized all learning styles to allow mastery of the information easy for all students. Her ability to focus on essential class information is excellent while still making everything fun. Personally, she has always been a beacon of shining light for me while traveling my spiritual path. If you want to fix painful or broken group relationships in a way that can create peace and ease for everyone involved, I offer a two-day seminar called Mending Webs: Healing Relationships. I first met Mary in 2008 when I took a class for continuing education credits for massage. I had no idea how much of a pivotal point in my life this would be. I was so intrigued with this class that I made personal appointments with Mary for full healing sessions. Over time we were able to resolve my high blood pressure, chronic constipation, irritable bowel syndrome, anxiety, panic attacks and post-menopausal symptoms just to name a few! I have continued on in a learning/mentoring capacity with Mary, and have been part of her other classes which include: Moving Toward Mastery, Mending Our Webs, Spiritual Transformation Group, and Mentoring. If you are on a path of self-realization and wanting to hone your skills as a practitioner/healer, I highly recommend any or all of these classes/groups. Mary is a joy! She exemplifies professionalism and integrity. She is a compassionate, artful communicator. She listens to understand and is a skillful facilitator. Her classes are always fun, energized and full of information that you can utilize immediately. I feel truly blessed to have Mary in my life. A small group of people who wish to grow and expand their practice or profession under the guidance of Spirit and from a heart-centered, grounded place. We meet virtually twice/month. You can live anywhere to join. Mary Shields, Ph.D. is a fabulous health practitioner and teacher of health sciences — a combination of skills not often resident in one person — most are either good at one or the other. Mary is the rare combination of both. 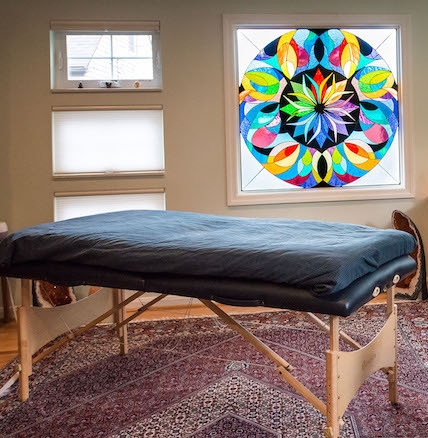 As a practitioner, Mary has insights and access to techniques and skills that outmatch most bodywork and energetic healers. She provides tremendous healing sessions that are gentle, thoughtful and intuitive. My difficulties with spinal stenosis and insomnia have all but vanished largely due to sessions with Mary. Mary provides a unique teaching and mentoring experience that includes foundational information and techniques. More importantly, she focuses on the personal growth that will provide you a roadmap to excellence. If you are seeking mastery in your personal, spiritual or professional life, Mary will help you discover your individual pathway. My experience with Mary has transformed my personal life and molded my professional approach to healing. Once you have worked with me for awhile, and are well into your healing, there is another group experience: Moving Toward Mastery. Two- to-three times a year, my clients are invited to come to an intensive two-day retreat. I invite you to a free twenty minute discovery call, and we can figure out together what most fits your needs. Would you like to host a class in your area in 2018? I am in the process of setting up my 2018 teaching calendar and I’m looking for some motivated, heart-guided individuals to work with. I’m looking for coordinators to help bring the following types of healing workshops to interested communities around the US and Canada: 1. BodyTalk classes & 2. Healing Workshops that I’ve created. I’m looking to create and nourish strong relationships that will be mutually beneficial for you, for me, and for the students advancing their own healing and that of their clients. If you are interested in bringing a class to your area, click the button below for more information on the benefits of coordinating, as well as the coordinator application form.